Por 30 anos, a Vector tem sido seu parceiro para o desenvolvimento da eletrônica automotiva. Impulsionados pela nossa paixão pela tecnologia, desenvolvemos soluções que ajudam os engenheiros a cumprir suas tarefas mais exigentes. Em 26 localidades ao redor do mundo, mais de 2.500 Vectorianos dão suporte a montadoras e fornecedores da indústria automotiva e indústrias relacionadas. As ferramentas, componentes de software e serviços da Vector ajudam a desenvolver a mobilidade do futuro, por exemplo: eletromobilidade, segurança funcional, cyber security, ADAS e direção autônoma, AUTOSAR Adaptive e muitos outros tópicos. For over 25 years, besides innovation, the values of fairness, honesty and loyalty that are important to us have been our focus. These values, combined with a visionary perspective, have been the foundation for our successful growth. 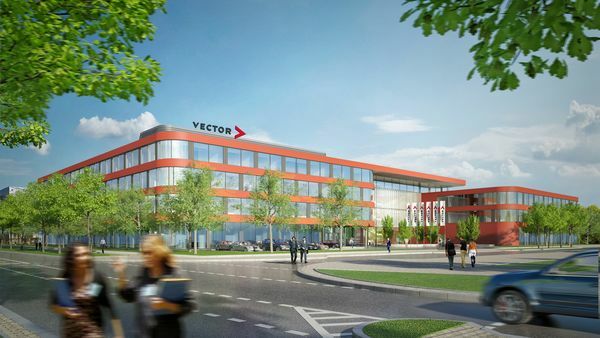 More than 2,000 passionate people at the Vector Group. All with one mission: Simplifying the development of automotive electronics. With solutions made for engineers, by engineers. With tools for accelerating development. Tools that detect errors quicker and make testing easier. Tools to drive in the fast lane. Vector Solutions get engineers to where they need to be. A Vector está ativa em redes sociais populares para compartilhar as últimas notícias, imagens e vídeos. As our corporation attains economic success and business growth, our responsibilities for people and the environment grow as well. Corporate Social Responsibility at Vector, the common feeling of a social obligation, is based on a sense of responsibility and initiative by our employees. For many years now, Vector has committed itself to charitable causes, and it has supported them financially.